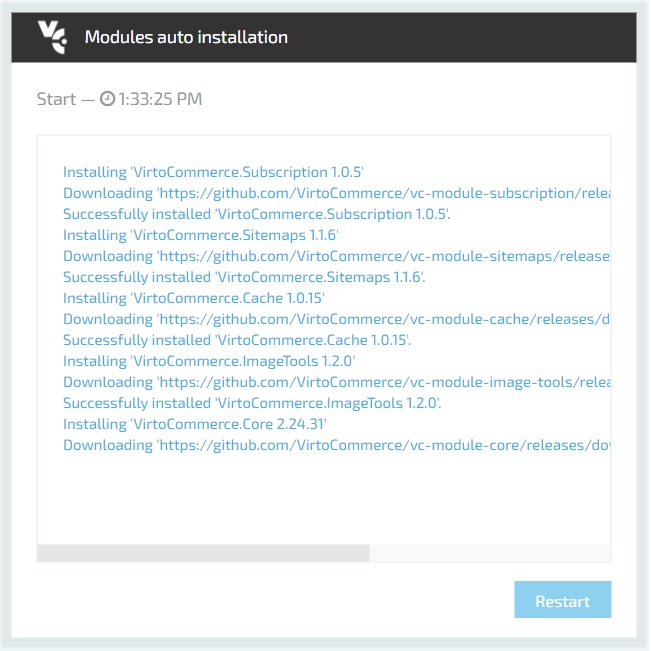 Use this guide to deploy and configure precompiled Virto Commerce Platform (backend) and Virto Commerce Storefront (frontend). Initial configuration of VirtoCommerce Platform (backend). Navigate to the Releases section of Virto Commerce Platform in GitHub. You will find and download VirtoCommerce.Platform.2.x.x.zip file. Open the C:\inetpub\wwwroot\admin\Web.config file in a text editor. VirtoCommerce: parameters for SQL server database. Change (local) to IP address of your SQL Server. For locally running instance SQL Express set Data Source=.\SQLEXPRESS. Open SQL Server Manager and connect to the local sql server on Database Engine. 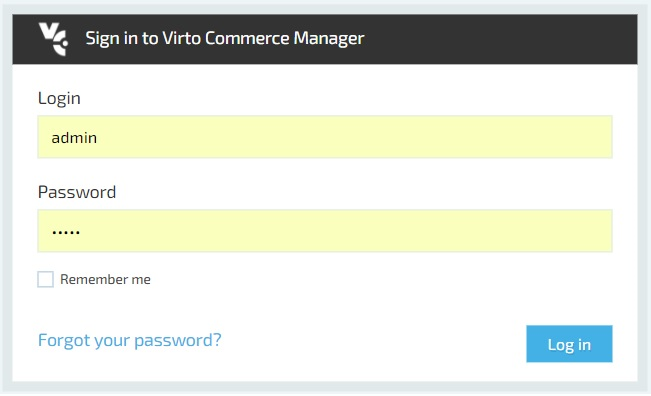 Add to Security/Logins new login name virto with password virto, give him in Server Roles dbcreator and public roles. 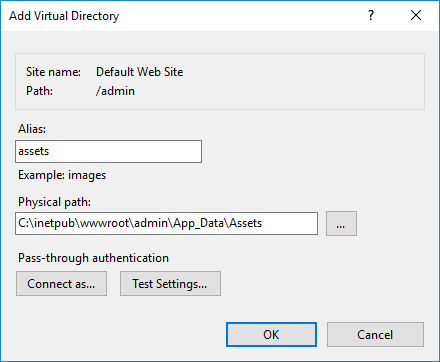 Open properties for C:\inetpub\wwwroot\admin folder and give permission Modify to IIS_IUSRS user group. $permission = "BUILTIN\IIS_IUSRS","Modify, Synchronize", "ContainerInherit, ObjectInherit", "None", "Allow"
Open the IIS Manager and create a new application named admin inside an existing Default Web Site. 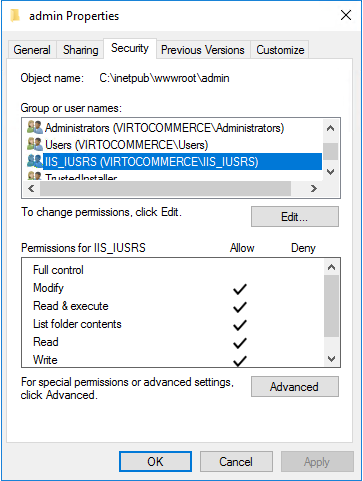 Open the Virto Commerce Platform application in the browser - in the IIS Manager select admin and click on right column to "Browse *:80(http)". After that you should see the sign in page. Next step - platform modules auto installation, after that you should click the Restart button. After restart you should see next page with possibillity to sample data installation (you should choose Closing and Electronics option - new products would be added to your Virtocommerce2 database). In the left menu select More > Configuration > Security. Enter the new password twice and click OK.
Click the API Keys widget. Click Generate, then OK, then Save. 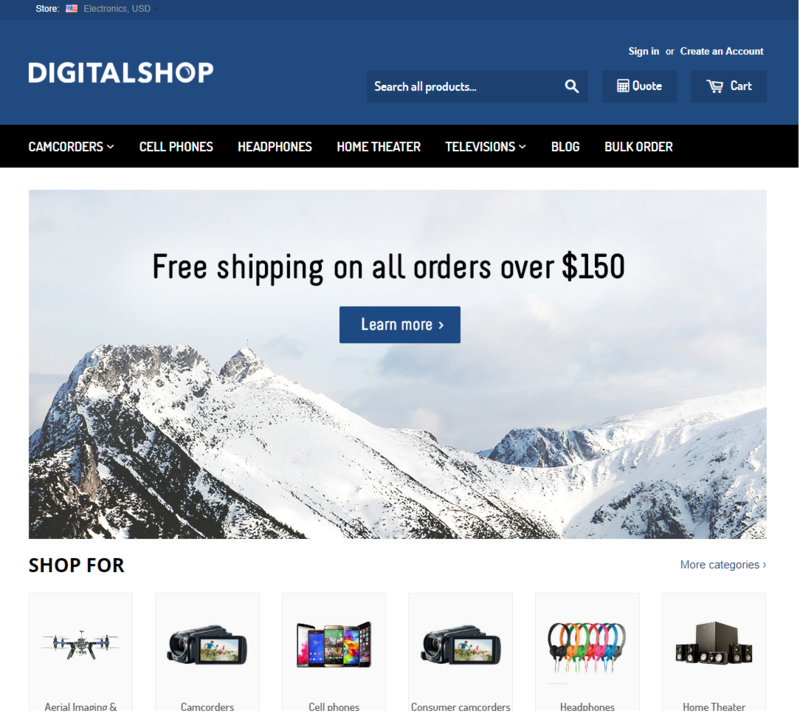 Initial configuration of VirtoCommerce Storefront (frontend). Navigate to the Releases section of Virto Commerce Storefront in GitHub. You will find and download VirtoCommerce.Storefront.2.x.x.zip file. and unpack this zip file to this folder of web server. Open the C:\inetpub\wwwroot\storefront\Web.config in a text editor. In the connectionStrings section find the add node named VirtoCommerceBaseUrl. Make sure that its connectionString attribute value is http://localhost/admin. In the connectionStrings section find the add node named ContentConnectionString. Make sure that its connectionString attribute rootPath value is ~/App_Data/cms-content. In the appSettings section find the add node with key attribute named vc-public-ApiSecretKey. Make sure that its value attribute is set to the value obtained earlier in the 'Change API credentials for storefront application' step. 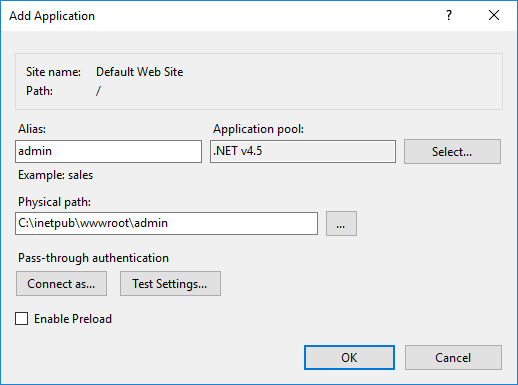 Open the IIS Manager and add a new application named storefront inside an existing Default Web Site. 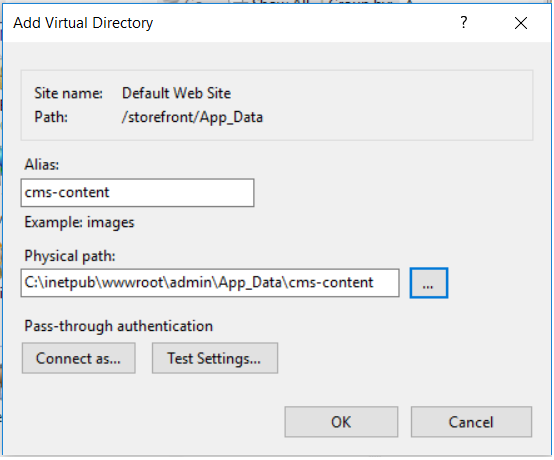 Open the IIS Manager and add a new virtual directory named cms-content inside C:\inetpub\wwwroot\storefront\App_Data. 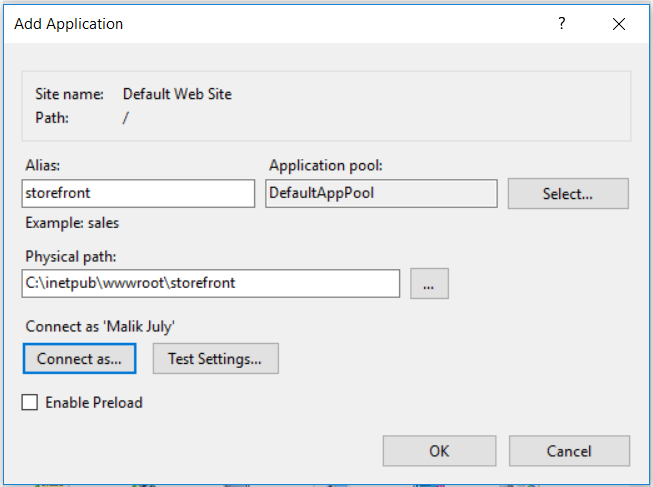 Now you could first open the VirtoCommerce Storefront application in the browser after full modules and sample data installation on Virtocommerce Platform - in the IIS Manager select storefront and click on right column to "Browse *:80(http)".